Wickedly Powerful Author Interview + Giveaway! 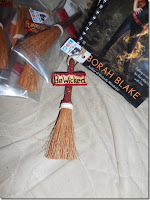 Along with the interview, Deborah is offering a signed copy of her book plus an adorable "Be Wicked" broom stick to a winner! Check out the Rafflecopter below to enter. Open to ALL!! 1) WICKEDLY POWERFUL is the third Baba Yaga novel. In the story world you created, Baba Yaga isn’t one woman, but a title carried by a chosen few. Can you explain more about how this works? In the original fairy tales, they sometimes referred to the Baba Yaga’s “sisters” (also named Baba Yaga, in case you weren’t confused enough). When I started this series, I decided that was the perfect excuse to have the name be more of a job title than anything else, and so the Baba Yagas in my books are the three women who fulfill that job in the USA. That way each book follows a different character, and a different romance, although they do tend to show up in each other’s stories now and again. 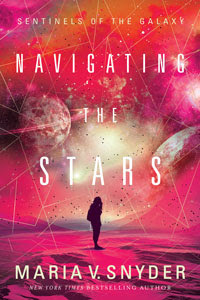 2) Are the books and novellas connected? Do you have to read them in order? In theory, I have tried to make each book so that you can read it on its own. But like most series, they make the most sense if you read them in order. In particular, there are events in the second book (Wickedly Wonderful) that lead into the third one (Wickedly Powerful, just out). 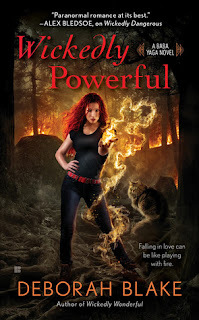 When you get to book four, which will actually be the first in the new Riders series, you will definitely want to have read Wickedly Powerful, since all kinds of important stuff happens in that book :). 3) How did you spark on the idea to have your third Baba Yaga deal with forest fires? 4) How much research on fighting wildfires did you do? Have you been to a fire? I’m terrified of fire, to be honest. The closest I’ve ever been to a wildfire is a bonfire that seemed to take on a life of its own. I did some research into fighting fires, and into the Hotshots in particular, including reading a novel that was written by a women who had spent time doing just that. 5) I noticed all 3 of your Baba Yaga books deals with an environmental issue. 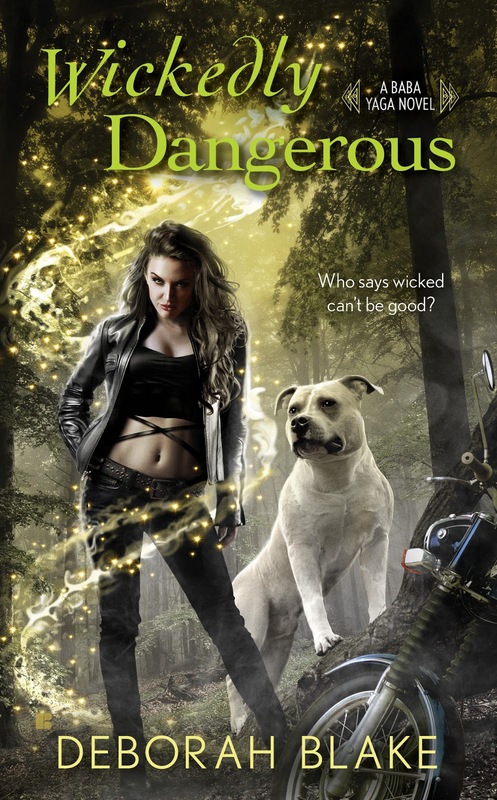 WICKEDLY DANGEROUS has fracking, WICKEDLY WONDERFUL has a toxin poisoning the water, and now WICKEDLY POWERFUL with wild fires. Is this something you feel strongly about? It is. I’m a Pagan, which means I’m all about the connection to nature, and our responsibility to live on the planet responsibly. Plus, of course, I am well aware of how many disastrous issues there are affecting the environment these days. I have gotten some criticism in reviews about putting my political views in a novel (really?) but to me, these issues are part of the story. I’m not preaching at anyone. They’re just powerful components of the world we live in. 6) I saw on your website that you sold 3 more Baba Yaga novels and another novella. Congrats! Have you planned out what those books will be about? 7) You also write non-fiction and have 9 books about witchcraft. Can you tell us a little about them? The books are published by Llewellyn, and are all aspects of the modern practice of witchcraft or Wicca. I tend to take a practical, down-to-earth approach, which people seem to like. 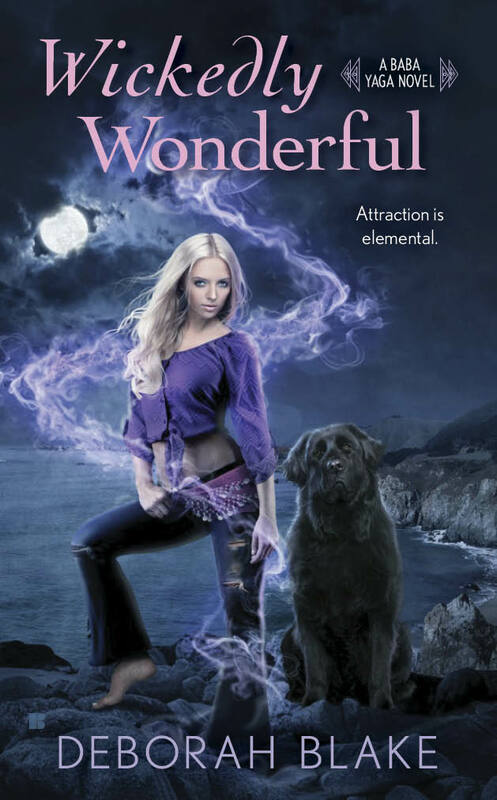 And, of course, my black cat Magic co-wrote three of them, so you know they must be good. 8) Is it hard to switch from writing non-fiction to fiction? It wasn’t for me, but then I actually have been writing fiction my whole life, and the non-fiction was kind of a happy accident, although it was published before any of my novels. I actually like going back and forth between them, since they are so different in terms of writing. And thankfully, the fans of my Llewellyn books seem to like the novels too. Maybe it helps that there are witches in them! 9) You’re a super busy person, writing fiction, non-fiction, and running The Artist’s Guild cooperative while making jewelry! Do you have any time management advice? And does your writing inspire your jewelry designs or vice versa? Don’t plan to get much sleep? Snort. Honestly, I’m still working on trying to juggle everything. There never seems to be enough time. But I do try to write almost every evening for about three hours, close to 365 days a year. Otherwise I’d never get the books done! As for the jewelry, sadly, I am doing less and less of it all the time because I am too busy writing. 10) What’s coming out next? 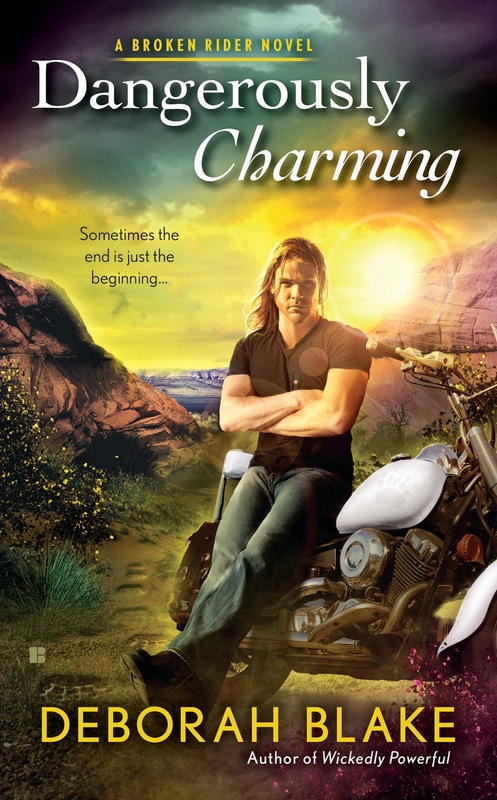 Next up is Day’s book, Dangerously Charming. 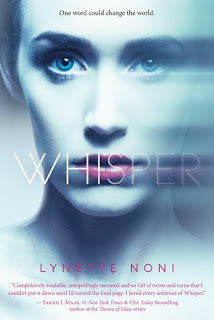 I just did the cover reveal for that one over on my blog, but I’m happy to share it here too. I suspect your folks will enjoy it :). After that, I’m writing my 10th book for Llewellyn, 365 Days of Everyday Witchcraft, and working on Gregori Sun’s book. And next year I have a tarot deck coming out, which was probably the most fun project I ever worked on! Isn't it? Berkley has done a great job with all my covers. I feel very fortunate. I need to get this new book read since it is set in Wyoming. I was really lucky to have an expert on site, since I haven't been fortunate enough to visit myself. But I hear it is beautiful there! I love witches and magic. Did you ever dream of having magic? I've been fascinated with Baba Yaga in pop culture, so this series sounds like a great addition! I had a lot of fun playing with the Baba Yaga characters. i love your cover and the fact you picked a myth not as well known as some other it's very original. These stories have been such fun, especially on cold winter's days in my kitchen or by the fire covered in cats. Thank you for sharing your creative gift (and much work) with us. Me too :-) Good luck! Congratulations on selling three more Baba Yaga novels. I think it's wonderful that you're covering environmental issues in an educated and loving way in your books. Educating the people is always the first step towards change. Love all of Deborah's books!! Looking forward to the new one as well. Love Deborah's books. Thank you for the chance. UK BLOG TOUR for NIGHT STUDY!